When will be Miracle's Boys next episode air date? Is Miracle's Boys renewed or cancelled? Where to countdown Miracle's Boys air dates? Is Miracle's Boys worth watching? 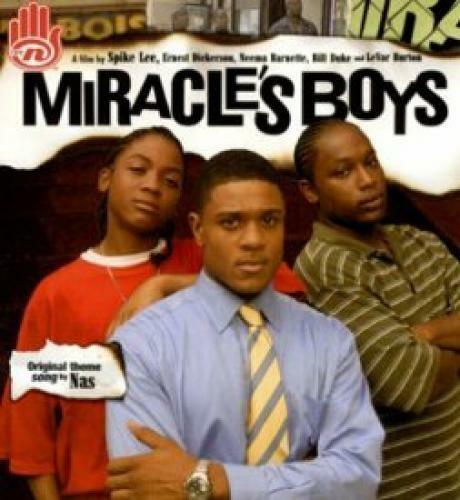 Miracle's Boys is a mini-series based off of a book of the same name. The series follows three boys whose parents both died, and are left under custody of their oldest brother. Charlie, who just got out of Juvenile Hall, is different, and becomes a burden. Lafayette, the youngest, wants to date the girl next door, but the problem is she's in love with Charlie, which causes fights between the two. The series was directed by Spike Lee, and produced a total of 6 episodes. EpisoDate.com is your TV show guide to Countdown Miracle's Boys Episode Air Dates and to stay in touch with Miracle's Boys next episode Air Date and your others favorite TV Shows. Add the shows you like to a "Watchlist" and let the site take it from there.